Welcome to Shanghai Bambooest Garment Corporation and to the unparalleled luxury and durability of natural bamboo fiber fabrics and product. 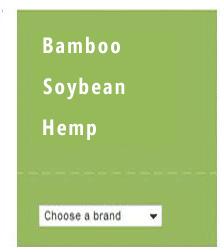 We are a jointed investment manufacture of high-quality ecological friendly fabrics and product from bamboo. Our product line covers from bamboo fiber to finished product. We are not only specialized in 100% bamboo or blended knitted and woven fabrics, but also strong at bamboo baby clothing, bath and bedding product and garment etc. Most of product was export to United States, European Union, Japan and countries around the world. Bamboo baby face and bath towels are Japanese consumers' favorite. Bambooest is dedicated to fostering the awareness and use of sustainable, environmentally-conscious fabrics. All our products are made from low-impact, natural bamboo fiber and environment friendly dye stuff.